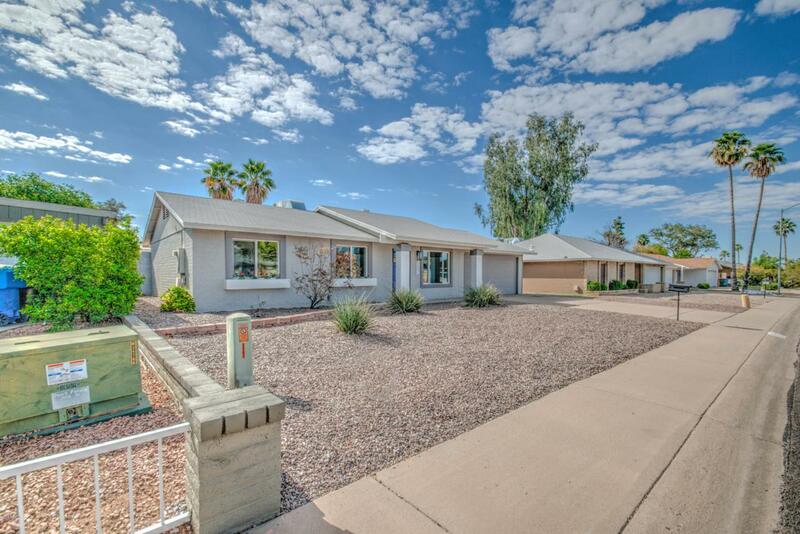 Stunning remodel-make this move-in ready home yours today! 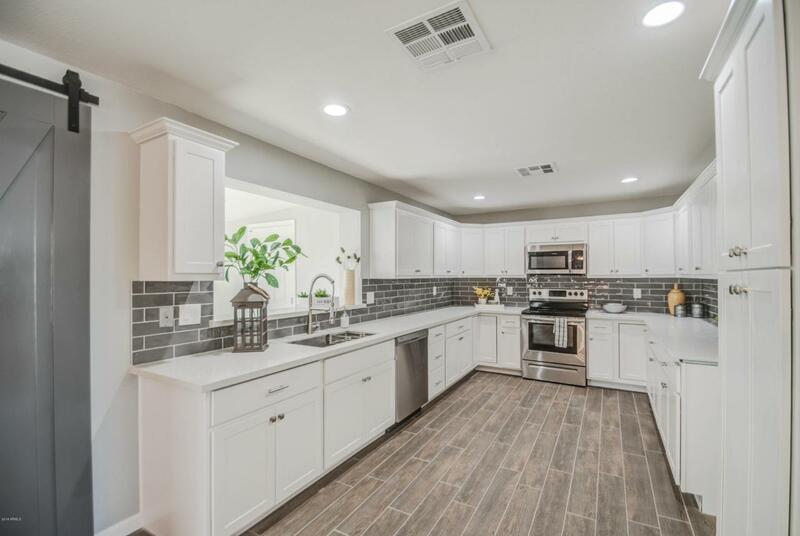 Enter a gorgeous great room with a kitchen that has the perfect designer combination of quartz countertops, stainless steel appliances & modern white cabinetry. 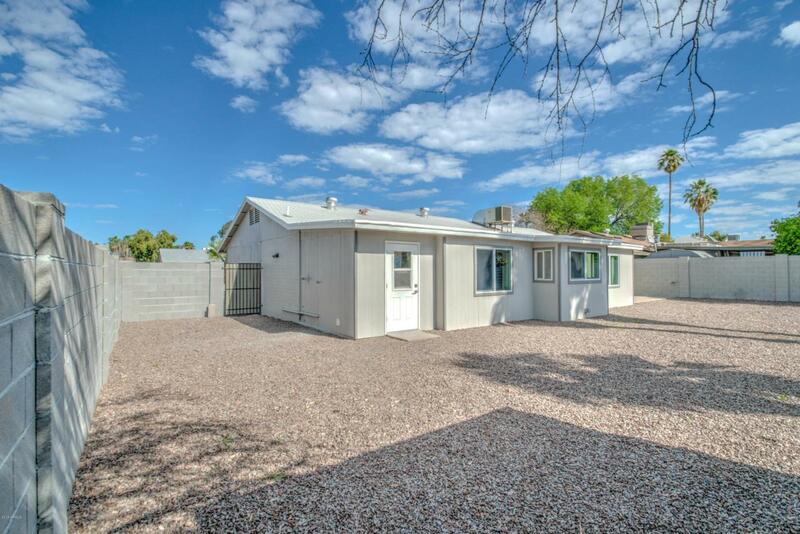 This 3 bed 2 bath house is freshly painted with updated wood tile in the common areas. The bathrooms have marble countertops, along with tile & rain showers in the shower/bath areas. Beautiful barn doors provide privacy for the family room. The large backyard has a storage shed. This home comes with a brand new a/c & water heater, and is close to the Musical Instrument Museum, the 51 and 101 & over 55 restaurants. 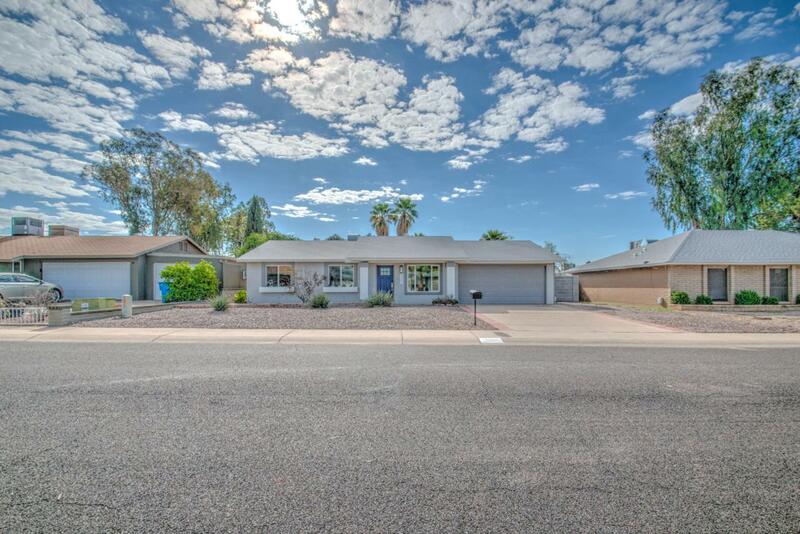 This quiet neighborhood is family/pet friendly with sidewalks & parks, well-kept yards with NO HOA! This elegant home won't last long-grab it, before its gone!